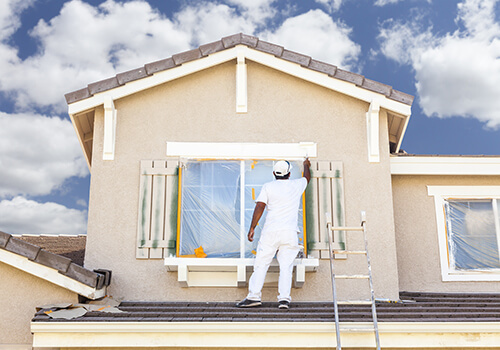 Exterior Painting Contractor Serving Raleigh-Durham | NC ReBuild, Inc.
At NC Rebuild, Inc., we know that your most important asset is your home. Home is where we go to forget the worries of the world and enjoy our friends and family. Yet, if your house’s paint job has started to fade or chip, this unsightly problem can start to weigh on your mind and affect your mood. Boost your home’s value and impress your guests with a new coat of paint. For commercial customers, a good-looking exterior entices customers to enter your property. If your business needs a refresh, NC Rebuild, Inc. is the general contractor that will work to beautify your property while striving to exceed your expectations. If the exterior of your home or business has been affected by extreme weather, then we can help you restore your property. With over 20 years of experience, we are the storm damage repair experts with the most experience dealing with situations just like yours. As part of our initial consultation, NC Rebuild, Inc. will come to your property and survey the area or the damage, and then provide you with a free estimate that includes our recommended solutions. We have the skills and experience to do your job right the first time at the most affordable prices. Schedule a free consultation by calling us (919) 625-5453. We work to ensure 100% customer satisfaction on all our painting projects. Get your project started today.